If you ever thought that your home was cramped and compact, then you will have a surprise waiting for you in this homify 360 feature. The house we visit today is only 33 square metres in area, and although that is quite tiny. This home is full of style, elegance and sophistication. It’s a great space for a professional that needs to be in the centre of town, allowing easy access to work and the social scene. But, the quality of this functional apartment is just as attractive as its location, and we cannot wait to explore it completely. The architects of this cute and cosy modern living space knew exactly how to maximise its features. 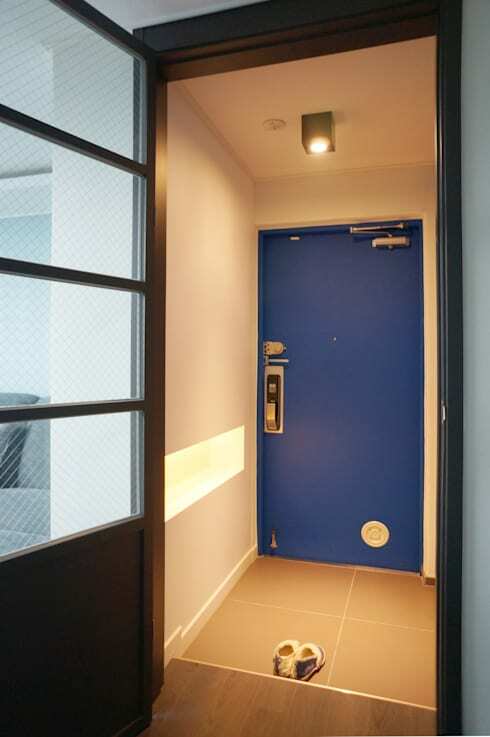 Behind the blue door stands a quaint apartment that is elegant and comfortable. But, before we venture inside, we need to enjoy the simplicity of the entrance hall. It’s so inviting, don’t you think? This beautiful and comfortable bedroom is decorated in chic, neutral colours. 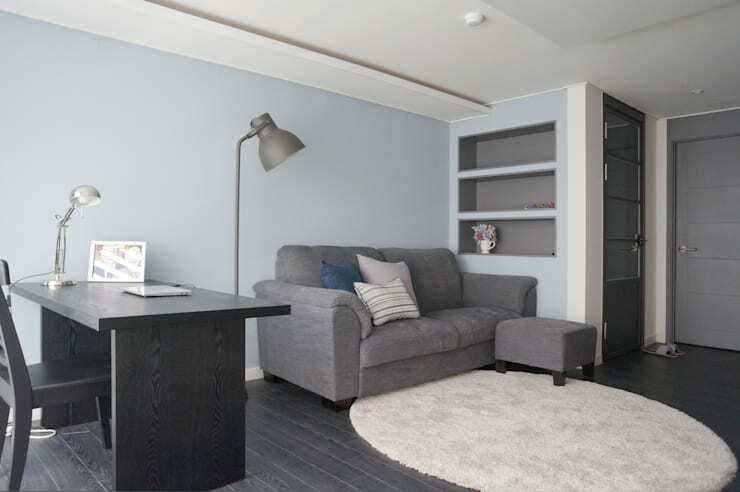 The combination of grey and black creates a sophisticated modern look, while the living room décor is minimalist too. The area includes a small desk, acting as a workspace and a TV area for relaxing on those much needed days off. 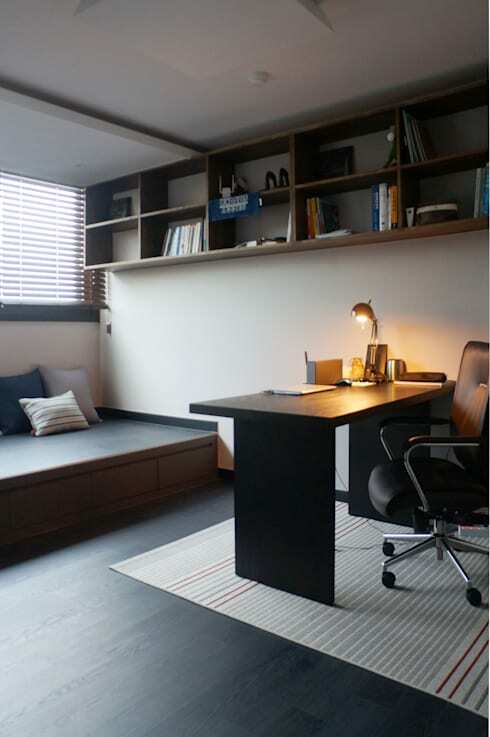 This study area is essential for peace and quiet. And with so many storage spaces incorporated into the room, the rest of the apartment will never look untidy and cluttered. It’s a comfortable, work conducive environment that is perfect for a busy professional. This modern apartment may be compact, but that doesn’t mean that it cannot be a lovely and cosy dining experience. 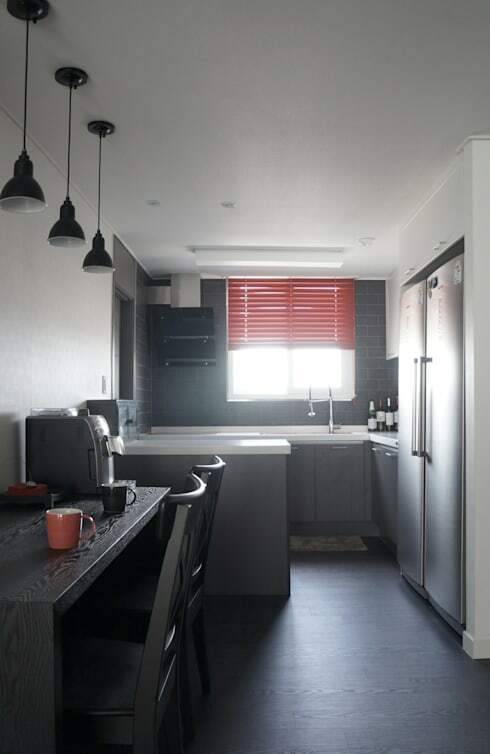 This kitchen and dining area is a great space for two, and the simple colour scheme of grey and red accents ensures that it’s a cute, creative space as well. 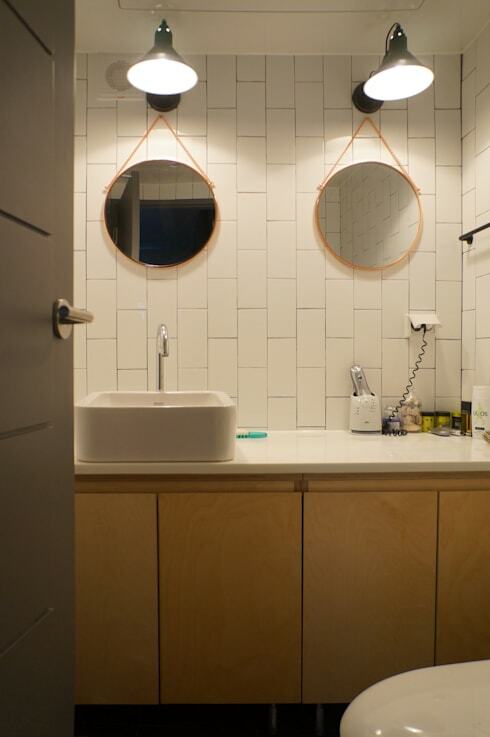 The bathroom is another fantastic feature of this modern apartment in the city. The neutral colours, simple design and all-white and minimalist design is just the best choice for an apartment of this size. The storage space is suited to the room, while the rounded mirrors add a special, creative touch, which breaks the monotony of the decor. This bedroom is a classic décor feature in this compact and simple apartment. The layout is awesome, with more than enough space for clothing storage, while the large window provides ample natural light throughout the day, providing symmetry to the decor too. Another comfortable element of bedroom décor is the wooden back wall, keeping the room warm and cosy on even the chilliest of days. 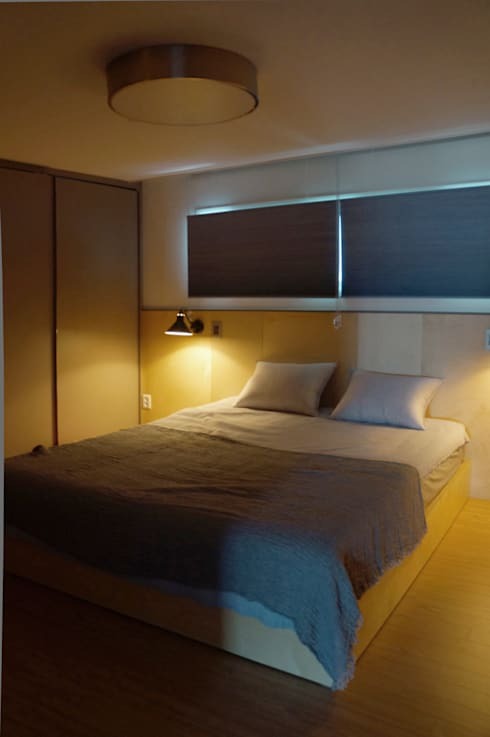 If you like the idea of compact modern living, then: An affordable modular home with style is a perfect choice too. What did you think about this small but stylish living space?